Despite what some might think, you don’t have to ride off-road to go on an adventure. 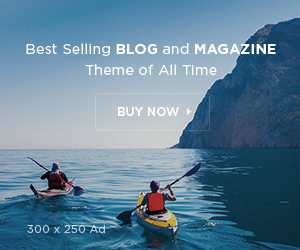 As this publication aims to show, many good adventures have been done on pavement and these days you can even ride around the world without leaving the tarmac. 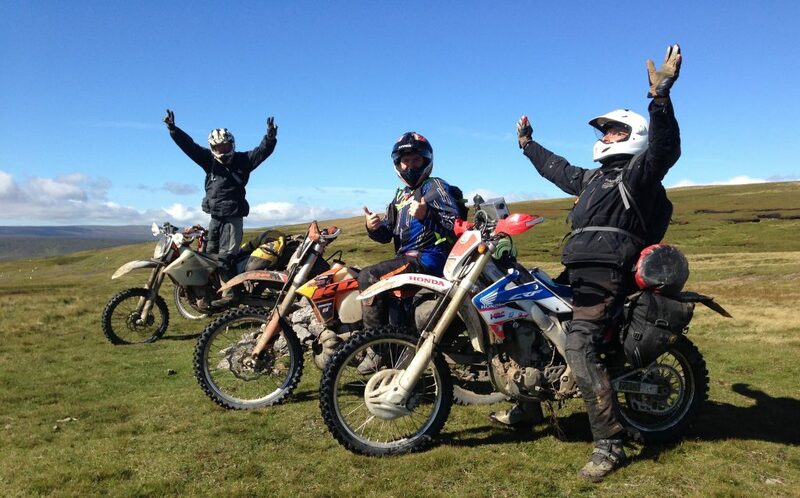 Off-road riding or trail riding is still popular however, with it possible to integrate into most trips you might have planned. 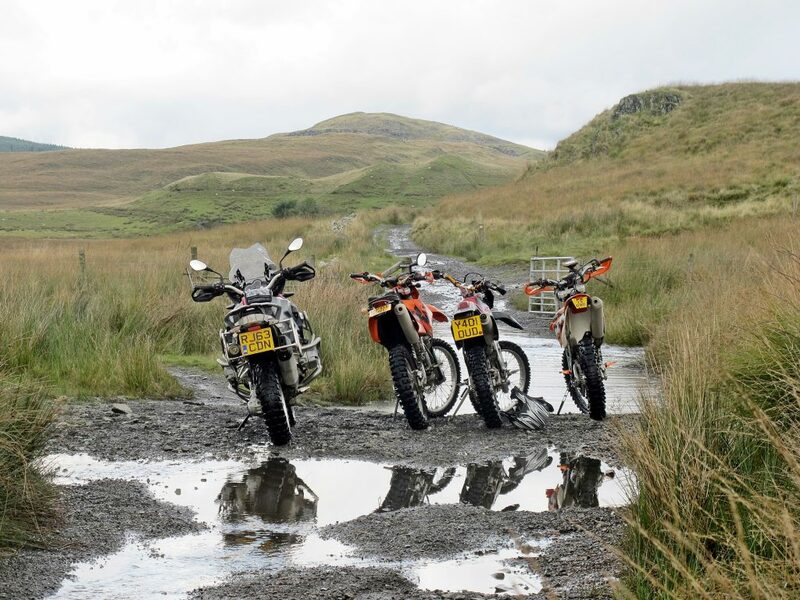 It can also be a great way of improving bike control and if you do only have a limited amount of time for your trips then a weekend camping over in Wales for example can be as adventurous as you want it to be, as Greg and Noel proved on their coast to coast trials bike trip. 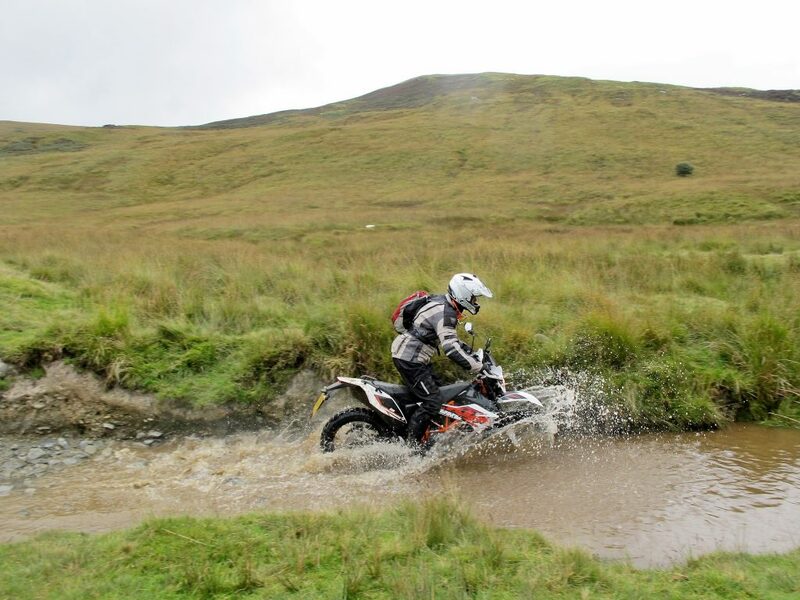 For a bit more information on how to get started at off-road riding I caught up with experienced trail rider and guide Tony Williams who provides us with a good few pointers to think about when starting out. If you decide you like it then it’s time to find a bike. “It’s a big world of choice and everyone’s different,” explains Tony. “Some favour old trail bikes, some favour new. Some go small engine, some go big. Ideally for a novice you want something less than 400cc. This will mean it’s relatively lightweight and a manageable amount of power. Four-stroke will be more reliable. Next it’s down to your budget. The price of trail bikes is slowly rising, with you not able to find much below £1500. Something like a Suzuki DRZ400, a Yamaha 225 Serow or TTR250. 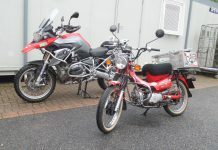 More modern are Honda’s CRF250L and Kawasaki’s KLX250, both popular for casual green laners and not overly expensive to buy new or second hand. It’s important to remember that the bike will get damaged. It will get knocked about. There’s no point getting precious about it. If buying second hand you want to make sure it’s got good chain and sprockets, some tread on the tyres and that it runs and idles alright. Blue smoke is something to avoid. These bikes can and do take some hammer. 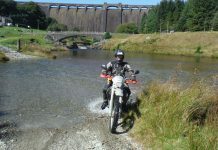 The marketing of large capacity adventure bikes as suitable off roaders is something to be wary of. A heavy bike makes for hard work and potential broken bones. An expensive bike also makes for a lot of worry, because you will break something. Light, cheap, strong are what you want when setting out.” Don’t overlook AJPs range. They’ve been getting some good reports. 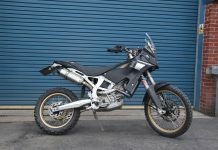 SWMs new range of off road bikes are essentially rebadged Husqvarnas and also seem like a sensible shot. CCM’s GP450 is also very good if you want something that can do everything and the changes Rally Raid make to the Honda CB500X give it good green-lane capability. Tony recommends army surplus stores for anything waterproof. “The benefit is that it’ll be cheap, reliable and also disposable. 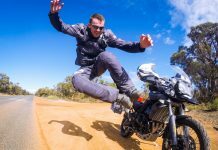 Expensive off-road gear is fine but when starting out it’s better to destroy the cheap stuff. A cheap cagoule material over the top of textiles will always fare better in wet weather. In terms of protection buy the best you can afford. If you have a ten bob head wear a ten bob helmet. A good helmet will offer maximum protection. Fiberglass/Kevlar/carbon is better than plastic but can cost. Buy the best you can afford and make sure you try it on and it fits properly. Peak and goggles are what many recommend, though if you’re just starting out there’s no reason you can’t manage in a regular helmet. Wear body protection, including knee, elbow and a kidney belt, just to stop your organs jiggling about over the bumps. Good boots are a must. You’re looking for maximum protection, hence why many trail riders wear motocross boots. On a trip this isn’t always practical with a compromise between comfort and protection a fine line. 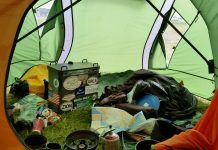 Alpinestar Toucans are good, as are Forma Adventure boots at a more manageable price. Or motocross boots for maximum protection. Cheap boots are unfortunately a false economy. Don’t be afraid to borrow from your dad or friends. Old is sometimes better than new.” For maximum protection from the rain, Tony recommends bar muffs, as exposed gloves can soon get cold and wet and can easily ruin a day on the trails. “A good tool kit consists of tubes, spanners, tyre levers, cable ties, a spare chain link, a tube of plastic weld and some ingenuity.”Tony’s advice is to work on your bike out of your tool kit when you’re at home. That way you know you’re carrying every tool you’re likely to need out on the trails. A first aid kit is also a good idea. In the UK this is probably the harshest reality and the difficulty in finding legal lanes is what puts a lot of people off. In America, Australia, France, Spain, Portugal and South Africa it’s not a problem as they have miles of trails to ride. 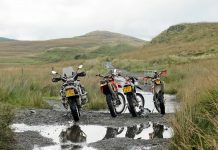 In the UK the best advice is to join the Trail Riders Fellowship (www.trf.org.uk), an organisation with regional groups tasked with fighting to keep lanes open and to organise ride outs and encourage new members. An Ordnance Survey map is also a good place to start. 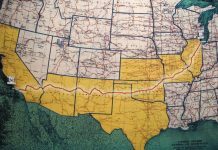 You’re looking for lanes marked as Byways Open To All Traffic (BOATS) or Unclassified Country Roads (UCRs), though there are lots of grey areas. Some very good and easily accessible locations to ride include Salisbury Plains and Thetford Forest. Local Facebook groups can sometimes be a good place to find local ride-out groups. Most of all be sure to persevere. 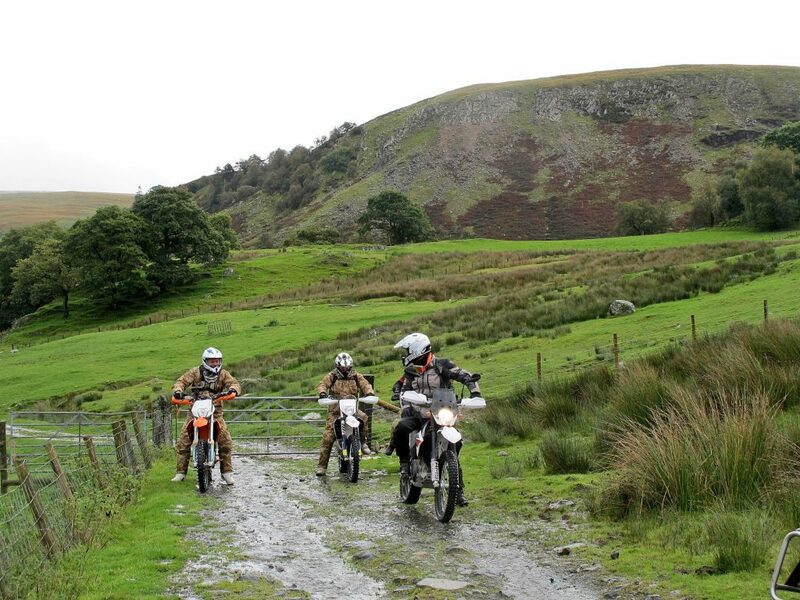 Off-road riding can be a lot of fun and give a greater satisfaction that road riding. It can also open up new local areas to explore. Safe riding.